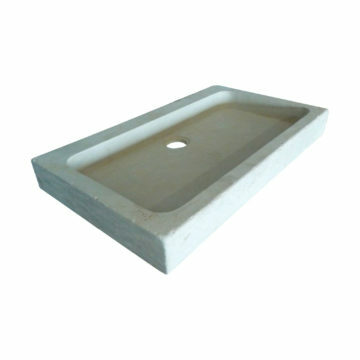 Stone sink or washbasin : Simple new stone sink made in the Mera Grey limestone with a smooth honed finish. 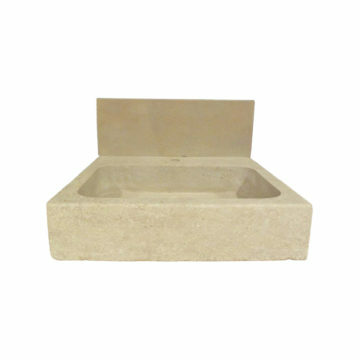 With a shallower bowl than a classic kitchen sink, ideal for wine-room or cellar, greenhouse or outdoor living near barbecue, or boot and wet rooms in general. Metric dimensions approx: length 70cm x front-to-back 45cm x height 10cm. 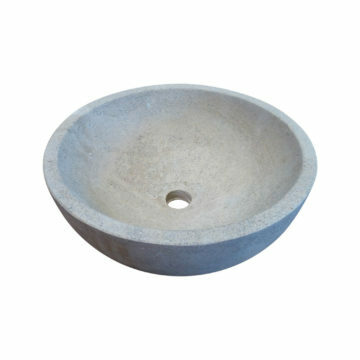 Depth of bowls is 6.5cm. 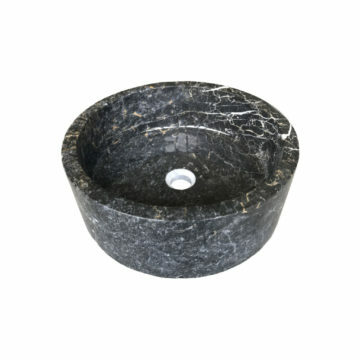 Imperial dimensions approx: length 27.5 inches x front-to-back 17.7 inches x height 4 inches. Depth of bowls is 2.5 inches. 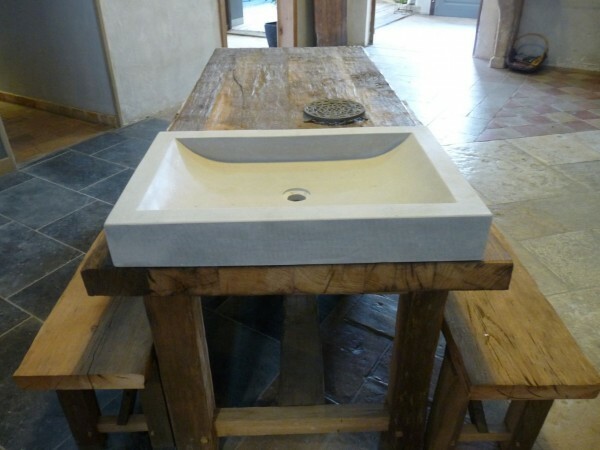 See BCA ref 01299 for the same Mera Grey limestone flooring.